SAN JOSE, Calif. — Facebook has overhauled its data center fabric, and Arista Networks has played a significant role at the switching level. This demonstrates the vendor’s relationship with the social network remains strong while bolstering its reputation as a supplier to cloud service providers and the largest enterprises. 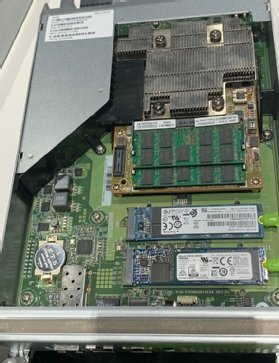 Facebook and Arista have contributed the specifications for the hardware to the OCP, which will make them available as open source technology. Also, Arista will offer the 7368X4 with its network operating system, EOS, or Facebook’s NOS, FBOSS. As a result, Facebook sent “positive signals to Arista’s tier 2 cloud customers, as well as to a subsegment of enterprises involved in e-commerce at scale,” said Brad Casemore, an analyst at IDC. However, as a high-performing fixed or modular switch supporting 100 Gigabit Ethernet and 400 GbE, the 7368X4 won’t have much to offer the majority of enterprises, which have much smaller data centers. “I see it more as helping Arista lock down its installed base,” Casemore said. The Minipack, which is similar in throughput as the 7368X4, is also specialty hardware for hyperscale data centers or those just underneath in size. Jeremy Huylebroeck, a cloud architect for French telco Orange, said in an interview at OCP 2019 the hardware’s ability to support up to 128 ports of 100 GbE or 32 of 400 GbE made it “too dense” for his employer’s data center. The industry with the highest interest in OCP’s open source technology is telcos, followed by companies with hyperscale data centers, tier 2 cloud service providers, financial institutions and government agencies, according to a study sponsored by OCP and conducted by IHS Markit.